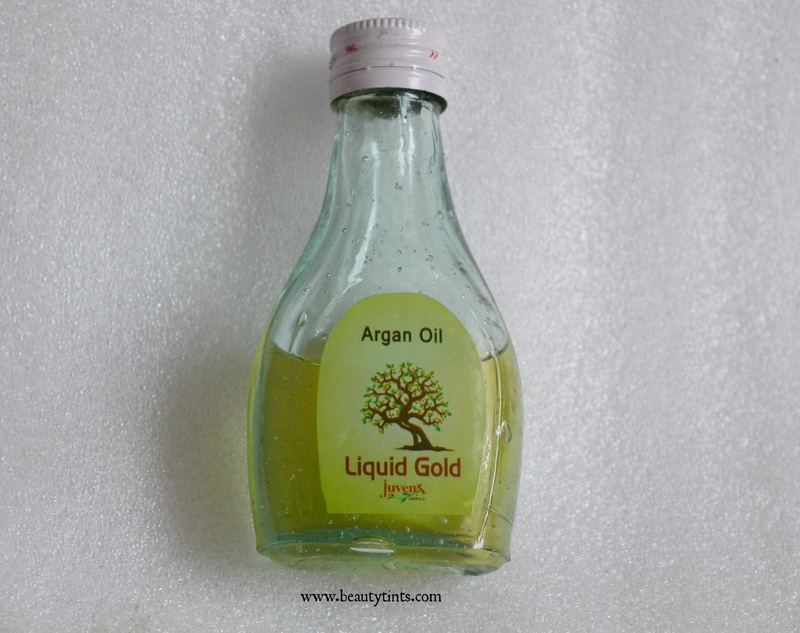 Sriz Beauty Blog: Complete Bridal Care Regime With Juvena Herbals - Argan Oil Review!!! Complete Bridal Care Regime With Juvena Herbals - Argan Oil Review!!! As a part of Complete Bridal Care Regime With Juvena Herbals,today I am reviewing Argan Oil,which is called as Liquid Gold and has many benefits for skin and body.It is a must product to include in the pre-bridal skin care regimen.Lets see its benefits!!! 1) Skin Moisturiser to make skin soft and supple. 2) Anti-Ageing- Gives youthful glow and reduces visibility of wrinkles, makes skin plumper and softer. 3) Excellent for Dry Skin, Patches, Freckles, Melasma, Sunburns, Acne, , Blemishes. It repairs damaged skin because of its omega-6 with vit E content. Can heal burn, surgical marks over a period of time. 4) Good for dark lips and under- eye dark circles, dark armpits,inner thighs, chill blains because of its fatty acids. 5) Where many oils and moisturisers aggravate acne, Argan oil actually soothes afflicted skin and promotes healing. Since Argan oil is non- greasy and contains anti- oxidants, it helps regenerate new healthy tissues, reduces inflamation. After cleansing with Juvena's Mint cleanser and Marrow Pack, apply Argan oil, leave for 10 min. ,wipe with moist cotton and wash. This will start constricting open enlarged pores, reducing oily condition without taking away moisture. It soothes the pain of acne during breakouts. 6) Stretch Marks- use during pregnancy to avoid getting stretch marks as it is good substitute of collagen. It gives ideal protection against stretch marks, sagging skin, puckered skin after the delivery. If applied after delivery cures stretch marks, sagging skin. It is extremely good for feet, hands, and nail health. It is extremely versatile and can be used for any type of skin, any disorder and any age. Method Of Usage : Clean skin with Gold Cleanser or Marigold cl or Mint cl as per the type of skin. Apply Argan Oil , massage into the skin. Above it, after 15 min , apply Gold Saffron cream, leave overnight. 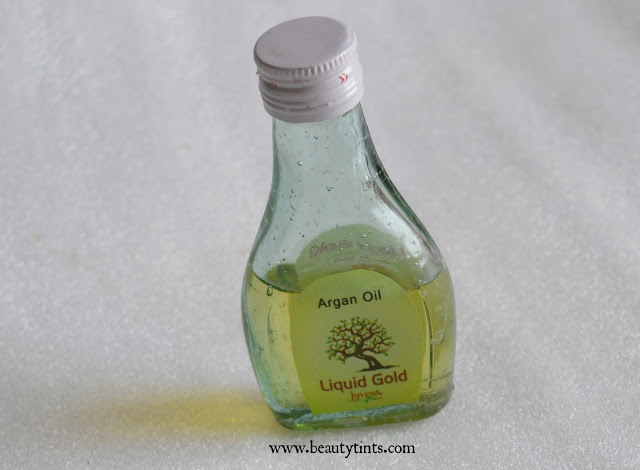 On stretch marks use Argan oil at night and Gold Saffron in day time. My Experience : I have been using this Juvena Herbals Argan Oil from many months and it has become my favorite from first use itself.It is a bit thick in consistency and it gets absorbed into the skin with a bit of massaging.With in minutes it gets completely absorbed.I am using it on the face as well as on the body too.It has helped a lot in making my skin even and it has shown a great reduction in the blemishes and black spots caused due to acne and pimples.It even reduces tan to a good extent on continuous usage.It makes the skin extremely soft and supple.It also lightens pigmentation on the skin and it can be used for lightening any darkened areas like lips,under eyes,armpits,inner thighs etc.,It is a multi tasking oil,which can be used by all age group people and for all skin types.It can be used even during pregnancy to prevent stretch marks and it can also be used after delivery to reduce stretch marks and sagging of skin as it is a good substitute for collagen,responsible for the elasticity of the skin. And coming to the pre-bridal treatment,I would suggest all the bride-to-be girls to start using this Juvena Argan Oil from atleast 3 months before wedding.As it takes some time to show the results,but the results are permanent.So,to get the complete results use it for minimum of 1 month.Girls who have issues like uneven skin tone, pigmentation, blemishes, dark/pigmented lips,dark circles,dark arm pits,dark inner thighs,dry patches,stretch marks should definitely give this miracle oil a try. Juvena Herbals Argan Oil is priced at INR 1000/- for 40 ml bottle which lasts easily for 3 months,if used regularly only on face.If used for entire body it lasts for 1 month as very little is needed every time.It is also available in larger bottle of 80 ml .You can buy this here.